Be sure you aren’t making an “adult milk shake” and are packing it with nutrient dense whole foods and quality protein powder. Your blender may not handle all the veggies I put in mine, so adjust the recipe but always include Protein/Fat/Veggies – Berries are a great addition too but don’t go overboard with them. Use a quality protein powder (grain-free, soy-free, dairy-free, with no added junk chemicals). Top choices of mine include Vital Proteins Collagen Peptides or Slique Shake. Need extra support for healthy weight management? Try adding Slique Essence essential oil blend to the smoothie. 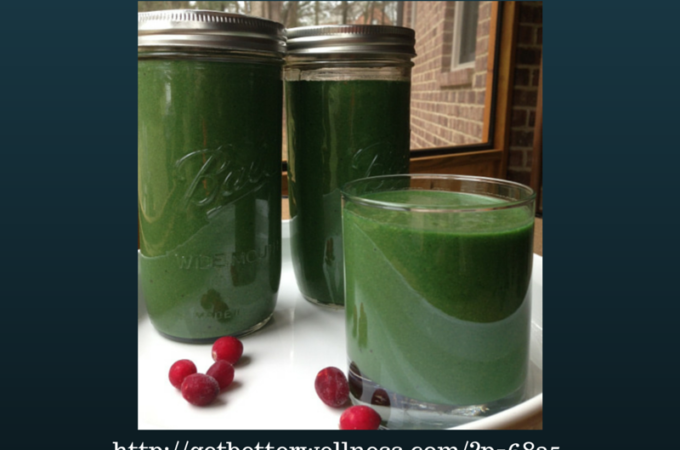 It is flavorful and uplifting with a hint of spearmint that my help with digestion. 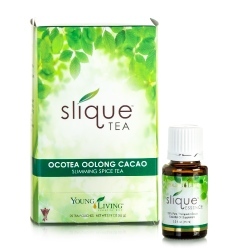 I love that Slique Essence also contains Ocotea which helps control hunger. Slique Essence combines grapefruit, tangerine, lemon, spearmint, and ocotea with stevia extract in a unique blend that supports healthy weight management goals. Here are the health benefits of Nutrex Hawaiian Spirulina. Instead of adding too much fruit or yogurt to improve the taste of your green protein smoothie, try adding Liquid Stevia Drops. Start with 5 drops and add more as desired. Below, please view my quick video showing how to make a smoothie that is nutrient dense and packed with healthy benefits. If you like what you see, please share this post and video!